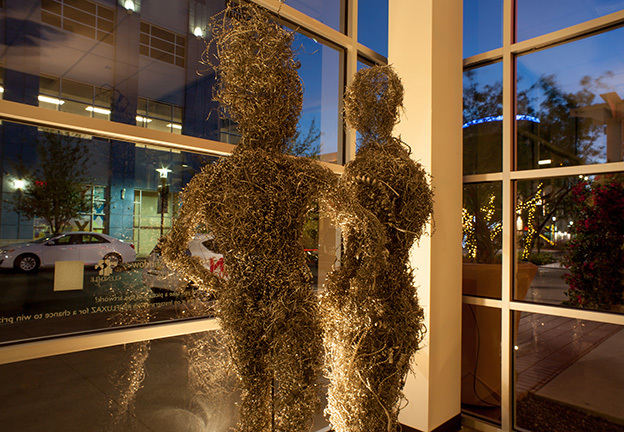 Jayme loves the way light reflects off objects, creating illusions, tricking the eye and capturing attention. 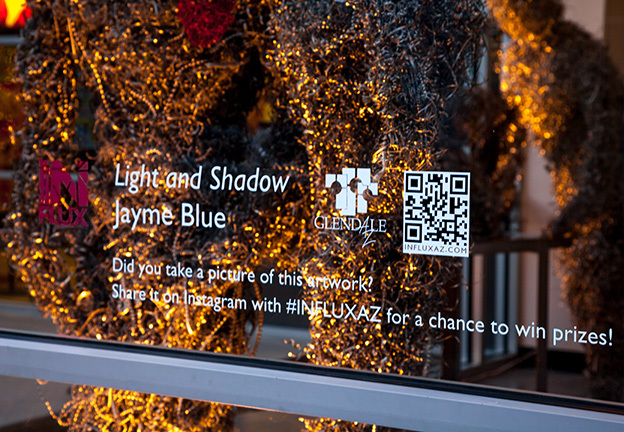 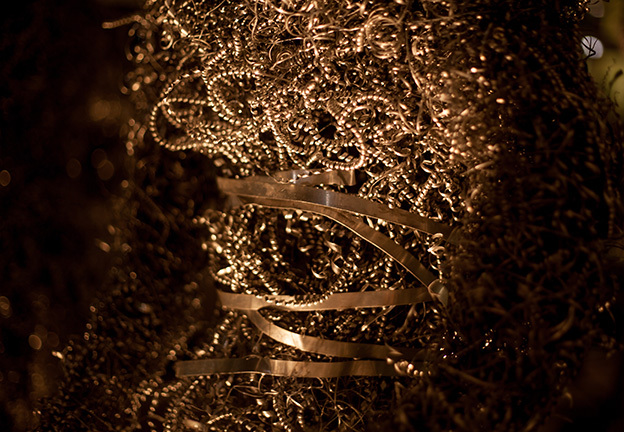 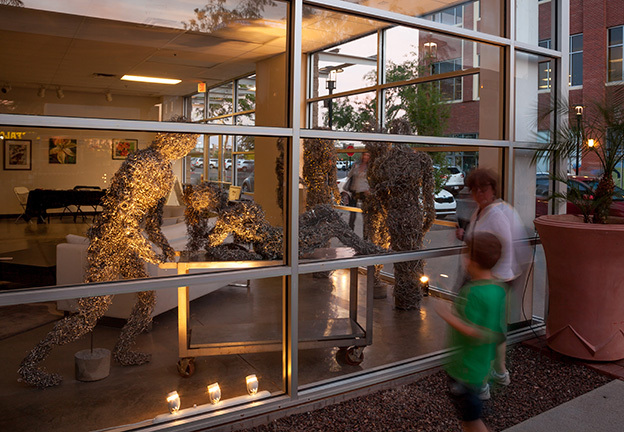 The expansive windows at Gallery Glendale, made of glass trimmed with steel, inspired the use of steel shavings – silver and shiny, reflecting light. 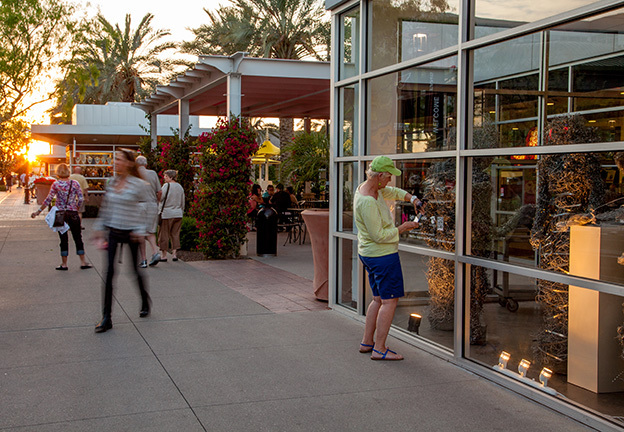 The outdoor mall setting is ideal for creating human figures in motion as that is what the center promotes – people coming , going, moving. 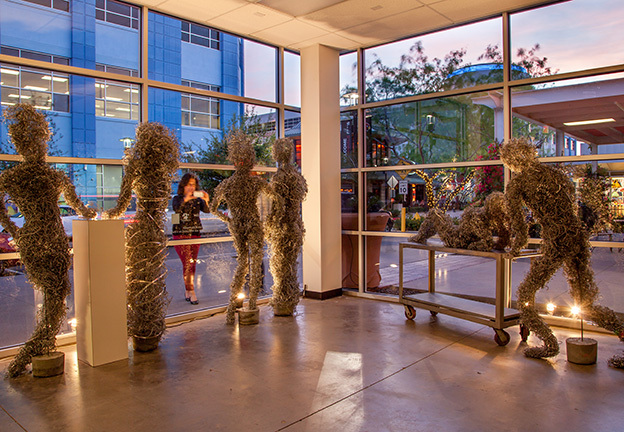 As sunlight fades, interesting shadows of the figures are cast across the stark white walls of the gallery, capturing the attention of people walking by. 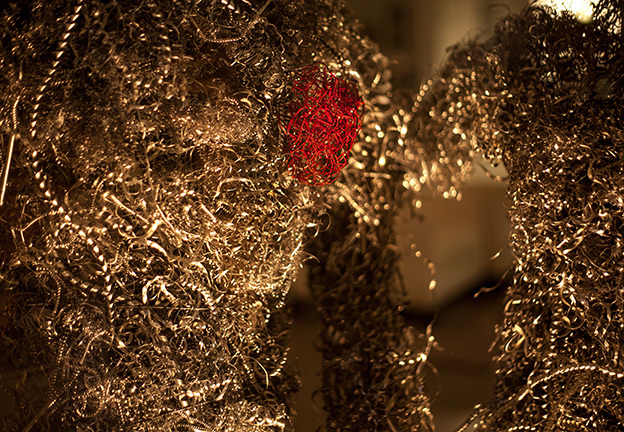 Jayme’s goal is to expose the public to art in a relatable way; people relate to people.